I can’t believe Summer is half way over! 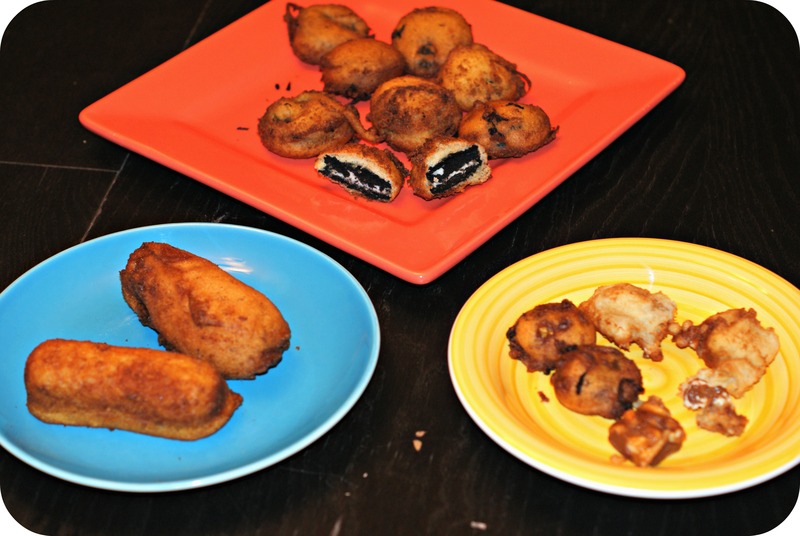 I also can’t believe I got out my deep frier and turned these yummy desserts into maximum calories. 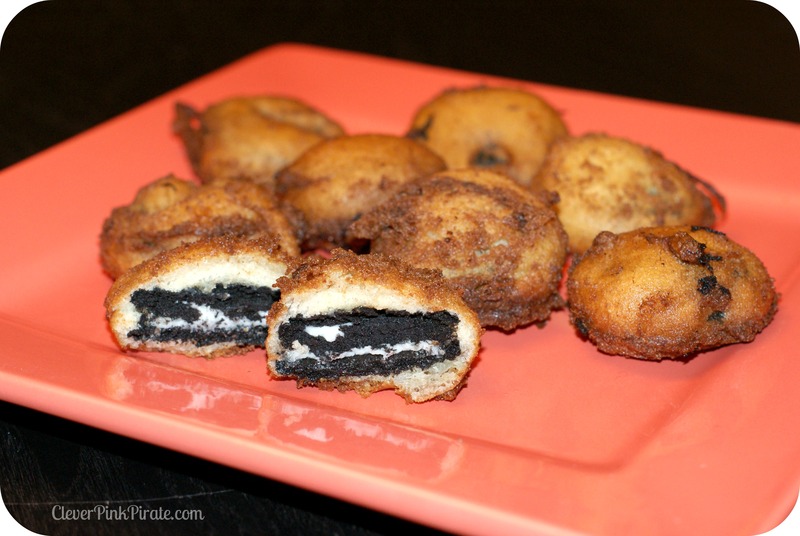 Next up in my Summer Delights series is Deep Fried Oreos, Deep Fried Twinkies and Deep Fried Snickers. First, let me start with the disclaimer of I never fry foods. It’s true, if I fry something it’s maybe once every year or so. But this Summer heat brings memories of the State Fair and even nights in Las Vegas with very fatty foods. I’m not sure what prompted this frying adventure but it was well worth the cleaning I had to do to burn these calories! These were actually all made with the same batter which coincidentally, is my funnel cake recipe! 1 batch of Funnel Cake Batter I revised my recipe a little and instead of flour and baking powder, I used my biscuit baking mix. These really came out fluffy! 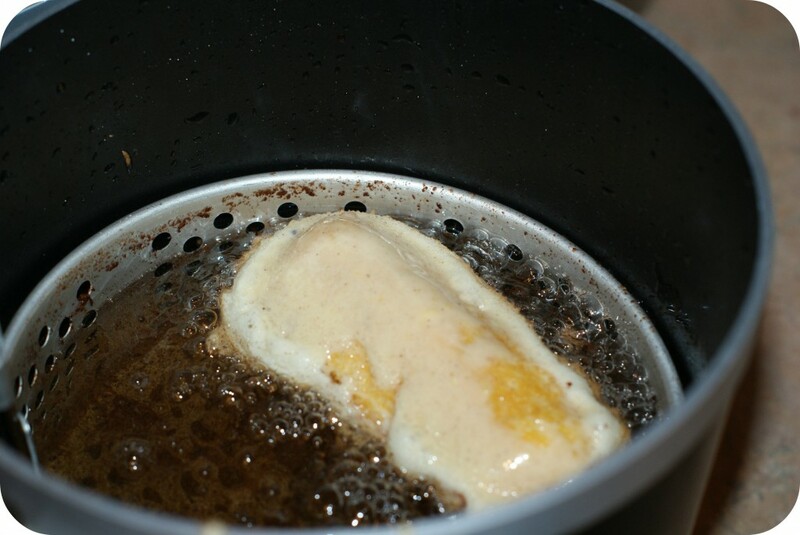 Cover each goodie in batter until well coated, place in hot oil with tongs. Give them about 30 seconds on each side, then pull out with tongs or spatula.Think golden brown before taking them out. 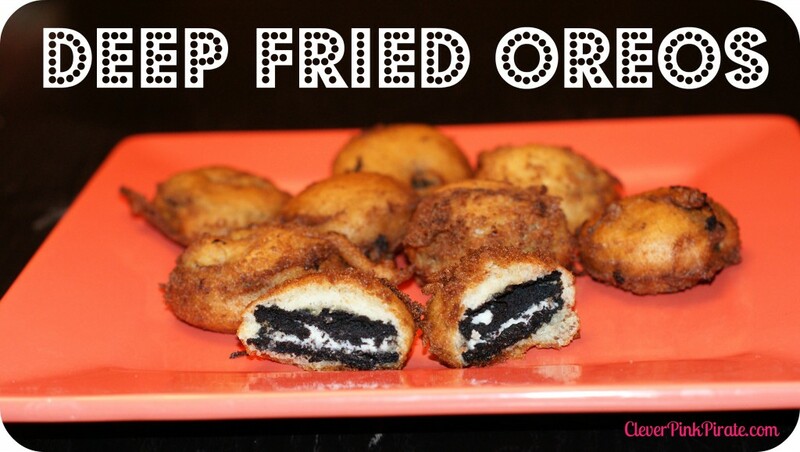 The Oreos were a little tricky, they seemed to break in the batter but eventually I got the hang of dipping them in. These moved faster when we put them in about 4-5 at a time. 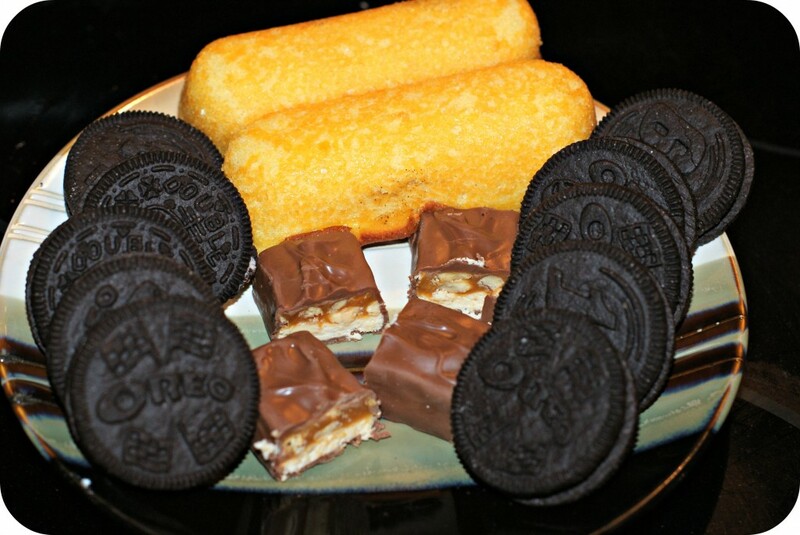 The Snickers were the trickiest. 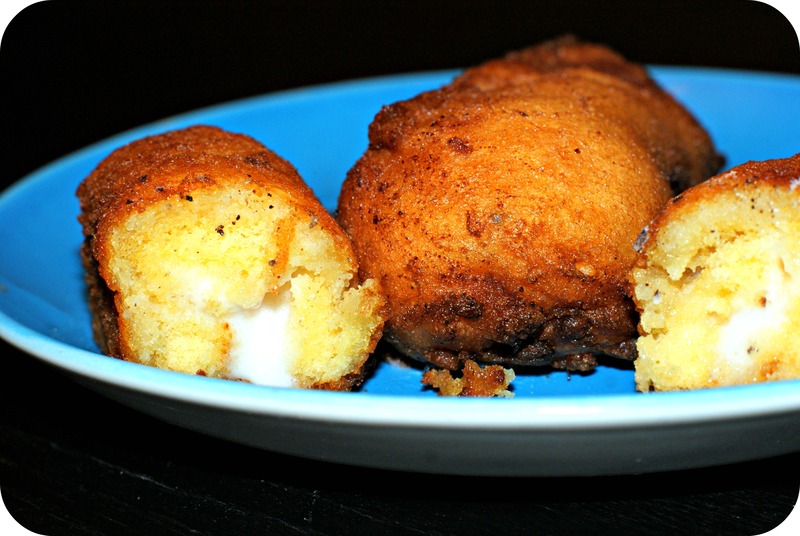 When the oil wasn’t quite hot enough, they plopped out of the batter and into the oil. Giving me oily hot Snickers (hey I didn’t say it was a bad thing). As you can see from the dark brown ones, the oil was hotter the second time and they stayed in tact. The Twinkies were obviously thicker to work with but overall, pretty easy! 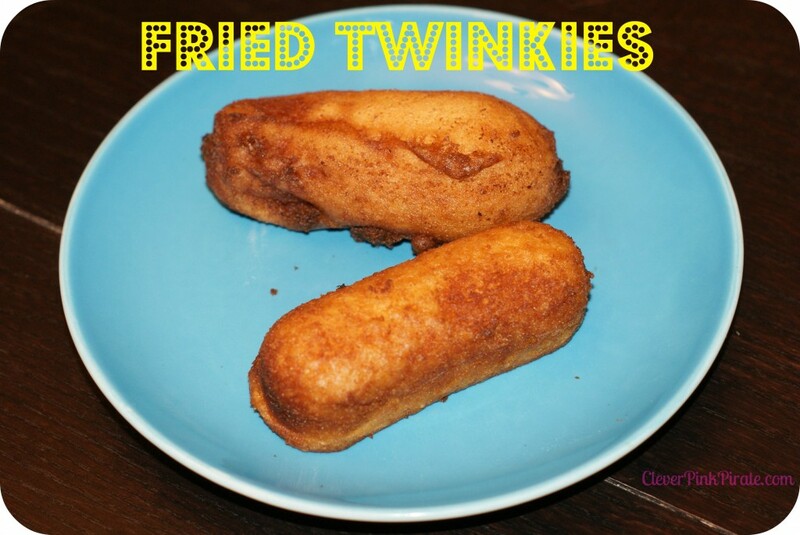 The Deep Fried Twinkies, definitely. The tasted like a giant cake with hot gooey goodness inside. YUM YUM YUM! 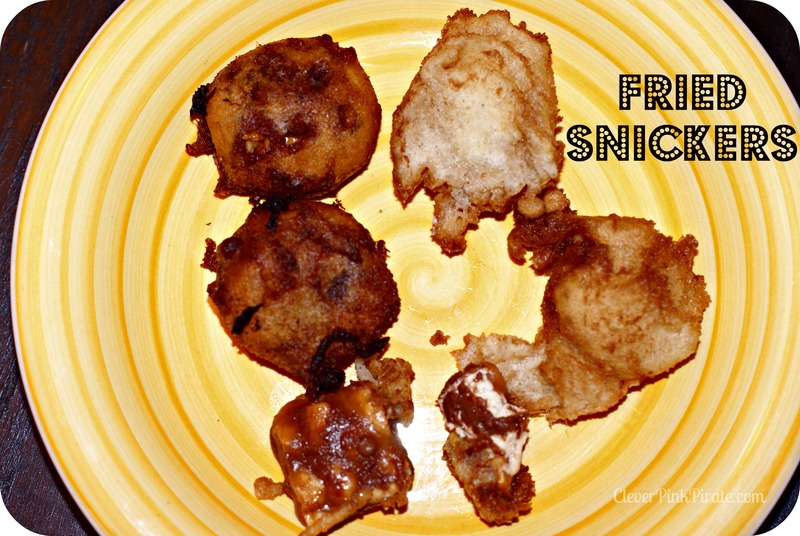 The deep fried snickers reminded me of Snicker Pancakes at BlogHer! Yum! !